Water constitutes about 75% of our bodies and it is essential for good health and well-being. We require proper hydration to regulate temperature, cushion joints, eliminate wastes and for countless other functions. Experts observe that many of us are chronically dehydrated. In fact, some people confuse their body’s signals for thirst, as hunger signs! 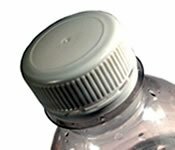 Use a refillable container to avoid adding to the growing solid waste disposal problem of water bottle packaging. Drink pure water, ideally without chlorine, chemicals and the impurities often found in municipal water supplies. Enjoy the convenience and cost savings of adding a water filtration system in your home. Divide your weight in pounds in half. That should be your daily water intake in ounces. For example. If you weigh 160 pounds (72 kg), divide by two; you should be drinking at least 80 ounces (2.2 litres) of water a day, even more if the weather is hot or dry. Your body has a constant need for water. Sip it throughout the day so you never feel thirsty. We'll be moving soon! Up-to-date info here. Libby trains as a infant carrying (babywearing) consultant! For full story, click here. Libby speaks at International Women's Day event "Sheffield Ladies Wot Tech". For more information, please click here. Libby is now a certified practitioner of the Webster Technique. For further information, please click here. We are pleased to announce that the raffle held at the Open Day raised a total of �52 in aid of St Luke's Hospice.